It appears that there has been a house on the site since Saxon times. For some 400 years, from the mid sixteenth century, it was the home of the Smyth family. During their ownership many changes took place, and it is some of those that were undertaken in the stables in the early 1800s that were the focus of work here. Until 1762 there had been a large stable block in the SE of the site, but the lower element was demolished by Sir John Hugh Smyth. 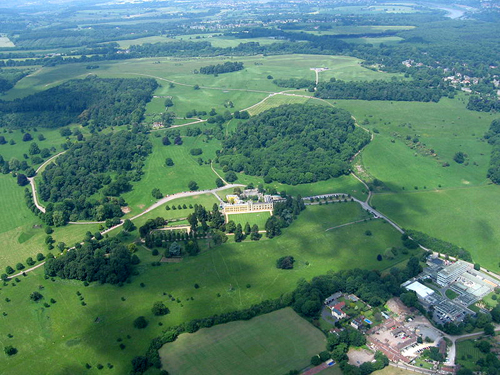 In about 1810, his son Sir Hugh modernised the eastern part of the mansion. He removed the remains of the old stables and rebuilt them in a gothic style. 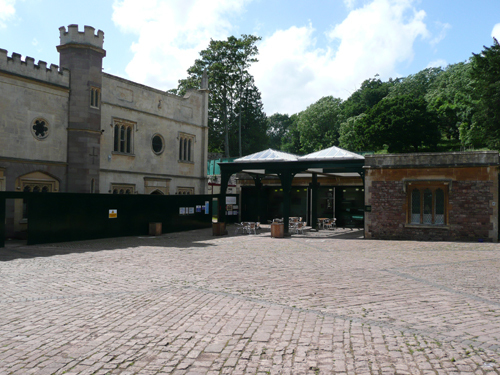 I was commissioned to carry out the analysis of the paint on the ground floor of the stables at Ashton Court.